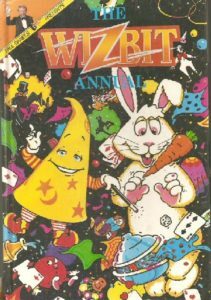 The start of 1986 saw Ray Dorset working on two television shows – comedy drama Prospects and the childrens show Wizbit starring Paul Daniels. Once again, we are a bit sparse on the date/gig front in places but we are showing all we have for each individual year..
Little Miss Hipshake/How Sweet It Is/Somebody Stole My Wife/Long Legged Woman Dressed In Black/Lady Rose/I Wanna Kiss You All Over/In The Summertime/See You Later Alligator/Little Bit Of Love/Alright Alright Alright/She Loves Me Like a Woman/Baby Jump/Rock ‘n Roll/Mighty Man/Black Betty/I Heard It Through The Grapevine/Thankyou Very Much/We’ve Got To Go/Really Had a Goodtime. Ray Dorset said…“Joe invited me and the family over to France for the opening of a club in Quiberon, Mick Frampton decided to come along too. “We played there and got invited to play at some more places, just Joe and myself, Mick joined in on some make shift percussion and a good time was had by all. We then went on to do some busking in the bars and got invited back for the summer. “Joe and I used to perform for about three hours with all kinds of jug band, skiffle, rock-a-billy and country music and even did versions of Satisfaction and Walk Of Life; this is how I came up with the song Red Leather & Chrome which the punters loved. “We did this for a few years and even got booked for Bastille night in one town and also a theatre in Paris. “Joe was a favourite with the audience, playing solos on their drinks trays and glasses, drinking beer onstage and making roll ups between and during numbers. “He also has a thorough knowledge of blues and jazz and the ability to speed up, slow down and add many dynamics to his accompaniment”. Mick Frampton said…“Ray invited me to France to holiday with him and his family, while there we were also to play as a jug band in the local pubs and clubs. “This was the first time that I had met Joe Rush, the funniest man that I have ever met. Nobody else I know orders a beer over the microphone whilst Ray is singing. “A typical day was spent on the beach, eating oysters and drinking sparkling cider. “Driving to the gig at our leisure , arriving maybe three hours early (unknown for Dorset! ), the owner would lay on food and drink and the atmosphere was casual and informal. “If you have heard the tape of ‘Mungo In Brittany’, you will hear that Ray made up many new songs on that tour, ‘Red Leather and Chrome’ springs to mind. It was brilliant”! As British members will be aware, Wizbit the childrens TV show is currently being transmitted. 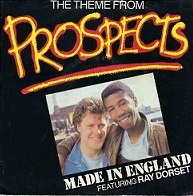 Ray wrote three songs for the programme as well as having a hand in choosing the theme tune. None of the songs by Ray have been released before, although he has recorded different versions of those that are used in the show. I hope soon to have news of an LP to be issued from the show. Wizbit is very popular with young children, and kids are heard to be singing the theme tune, Ha Ha This-a-Way all over the country. Ha Ha This-a-Way is an old Leadbelly song that Ray recommended to Barry Murray, the shows producer. You will remember that Barry is Mungo’s old producer from the old days. I have heard an old demo tape of Mungo doing Ha Ha This-a-Way and the sound takes you back to the 70’s. Ray also has a solo single out in Germany called Next To Me. 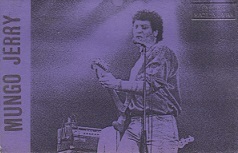 A re-mixed LP of Mungo Jerry’s early hits is about to be released in Germany, Mungo Jerry’s Greatest Hits and Ray has appeared on a song by a group called Panache doing the lead vocal on I Wanna Dance, and this has been released as a single in Britain on the Mach1 label, Cat,No; MAGIC004. By the time that you receive this newsletter, Prospects, the other TV show Ray is involved in will have had its first showing. It is being transmitted by Channel 4 on Wednesday evenings at 9 p.m and lasts for an hour. There are twelve parts to the first series. Ray has written several songs for the show, including the theme song that is being released on the 17th February as a single. Full details are as follows; Prospects c/w Stay Sharp is recorded by Made In England featuring Ray Dorset on the Red Bus label – Cat No: RBUS 2208, distributed by PRT. Made In England are a new band who issued Stay Sharp last year and they did a couple of TV shows to promote it. Ray is not involved with this song. A song of Ray’s used in the series was in fact a demo song made in his bedroom and the producers liked it so much that this is the version used as there was not time to go and record a top quality version. It is a song from the Mungo live set called Thankyou Very Much. As with Wizbit, an LP will be issued in the near future featuring Ray Dorset’s songs, with full details sent as I receive them. Keep On Rockin’ – Derek. Long Legged Woman Dressed In Black/See You Later Alligator/Lady Rose/Ghost Riders In The Sky/Prospects/Baby Jump/Rock’n Roll/Mighty Man/In The Summertime/Alright Alright Alright/Red Leather & Chrome/If I Had a Hammer/Diana/Barbara Ann/At The Hop/Goodnight Irene/We’ve Got To Go. 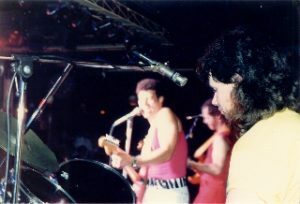 Ray Dorset said…“I took the family over to France for a few days and played the Lutte Ouvriere Festival together with Joe Rush. 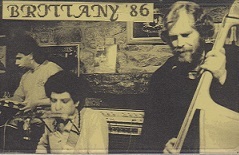 We did the skiffle and jug band type music that you heard on the last cassette (Jerry Jug and Joe), it was a great gig”! 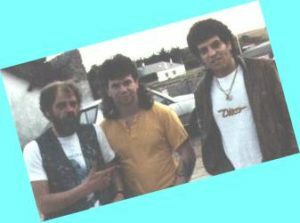 The fan club at the time were able to make available, several ‘fan club only’ cassettes with the kind permission of Ray Dorset and the guys. 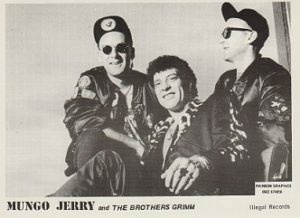 One of best or these releases was ‘Jerry Jug & Joe’, incredibly recorded on a Walkman but surprisingly, very good quality for all that, and featuring Ray Dorset and Joe Rush playing together in Paris, 1987. 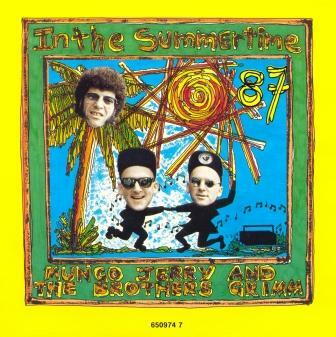 Ray produced a new version of In The Summertime in 1987. 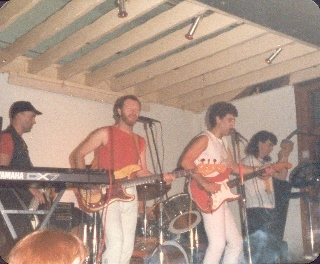 The band at the time was another happy, fun-filled line-up with Nick and John Wren on keyboards and drums respectively, Les Calvert on bass and Mick Frampton on percussion. 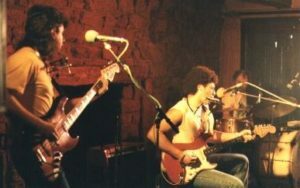 The band undertook another major tour of Ireland and played the song live on Irish Breakfast TV. A 12″ version was also made available and the b-side, Got a Job was also performed on the It’s Wicked TV show. The fan club were able to follow-up Jerry Jug & Joe with Jerry Jug & Joe 2, thanks to Joe himself who provided another simple Walkman recording, possibly even better than the first.